To give you an idea of what a real wedding day looks like here at Port Lympne, we asked one of our brides to answer a few questions. 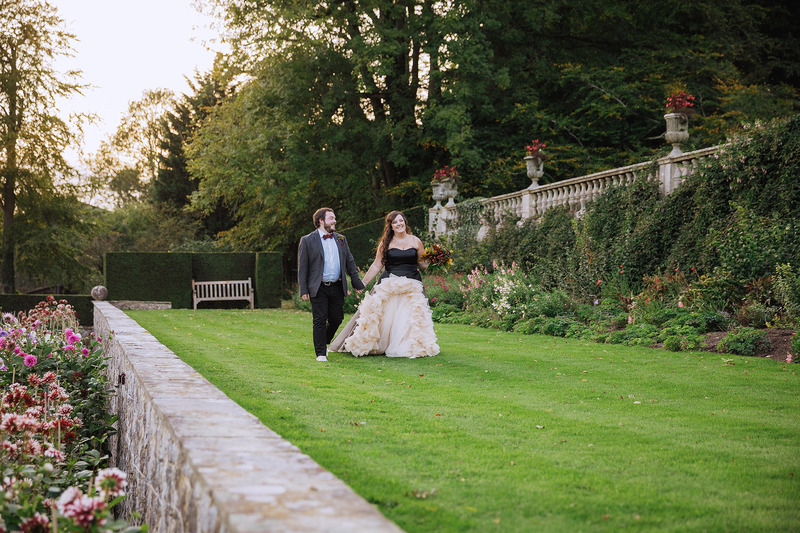 Sam and Matt got married in early October 2017 at the Port Lympne Hotel, with a beautifully unique and personal style. 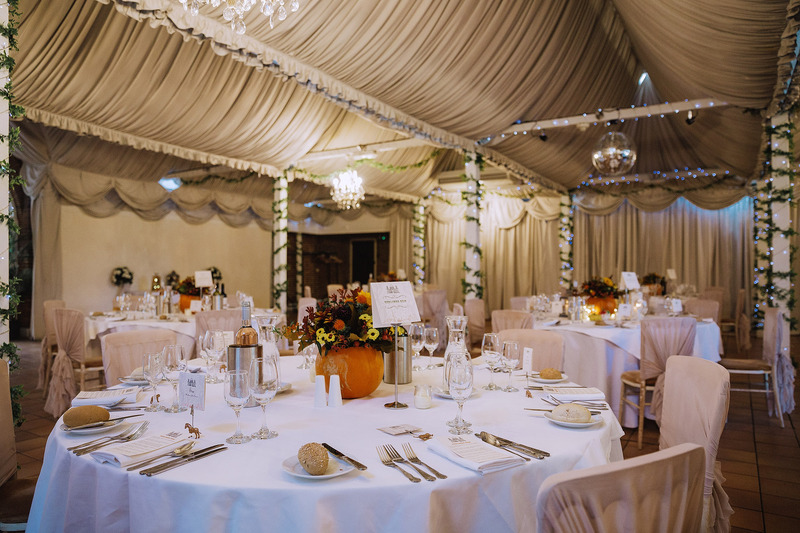 From creating the perfect venue to solving last-minute supplier issues, find out why Port Lympne was right for Sam and Matt, as well as exactly how the wedding’s team made sure everything went as smoothly as possible. We got engaged on the 21st December 2015 while on holiday in Berlin, Germany. I love Berlin, and this particular time we had taken my little sister and her friend with us. Matt says I kept ruining all his plans by inviting my sister along to everywhere he intended to propose to me. We flew home on Christmas Eve and told both our families as we saw them over Christmas which was nice. We got married 22 months later, a lot of that time was spent saving and planning! My little sister got married 6 months to the day before us, so it was a busy couple of years for us. 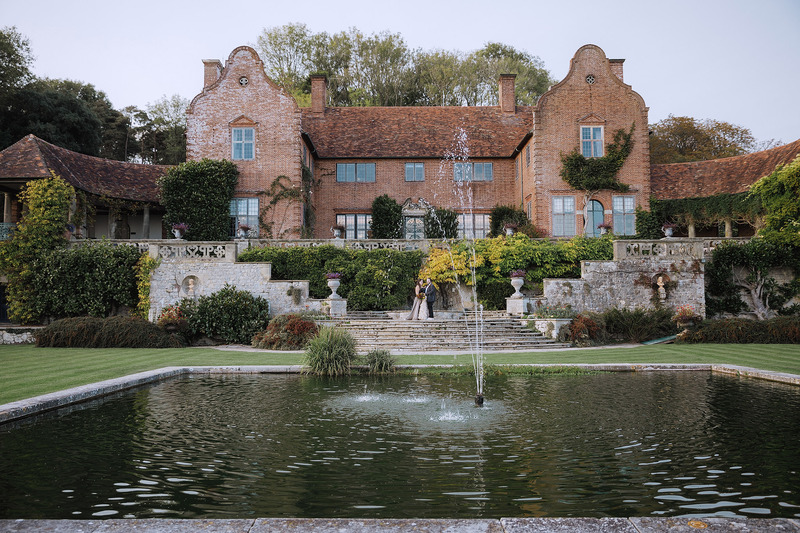 How did you find out about the wedding venues available at Port Lympne? When I was a lot younger and was visiting Port Lympne I saw a wedding being held there and I always thought it was cool. As soon as we got engaged I started looking online and found out they still hosted weddings, and I knew we had to go and see it. Which part of the park did you have your ceremony/reception? We got ready (Matt in a Treehouse and me in the bridal suite at the Port Lympne Hotel) onsite, we got married in the mansion. On the day the weather was fantastic, so our drinks reception ended up spilling into the grounds, with our wedding breakfast and evening party in the Aspinall Suite. 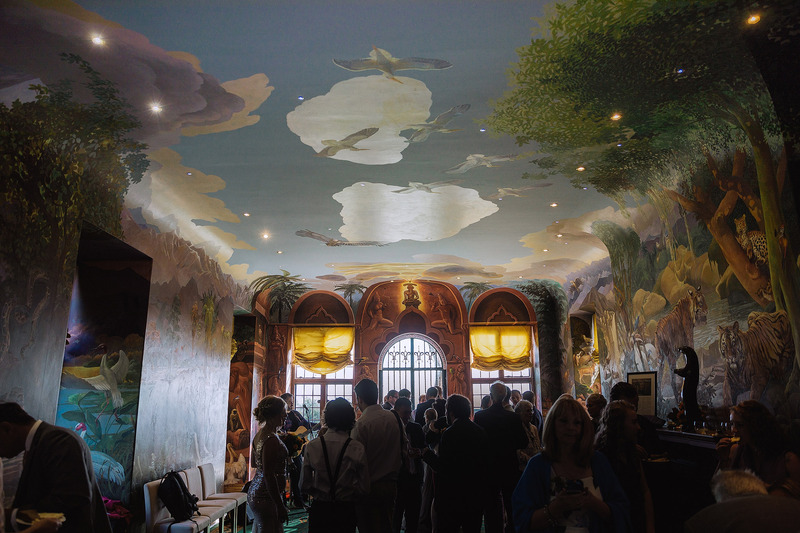 What made you choose this venue? We aren’t a very standard couple, and we didn’t want a standard wedding. We wanted to do all of our favourite things in one day, and the zoo is one of those. Port Lympne is the only place we looked. I knew before we got there that there was no other venue for me, but Matt needed convincing. I was a little concerned about the packages and the flexibility we would be allowed with these, but half way through the initial meeting, Matt leant over to me and asked if we could pay the deposit there and then. Even with the 'fixed packages', all of our requests were considered and accommodated for, which was exactly what we wanted. 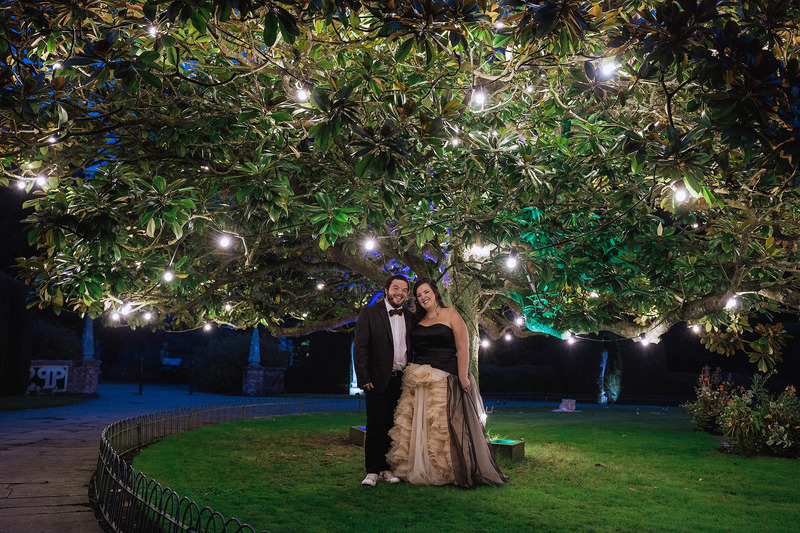 How did the team at Port Lympne help plan your wedding? I plan for a living (although not weddings), so I can be a bit full on at times with my attention to detail and my need for complete organisation and control. 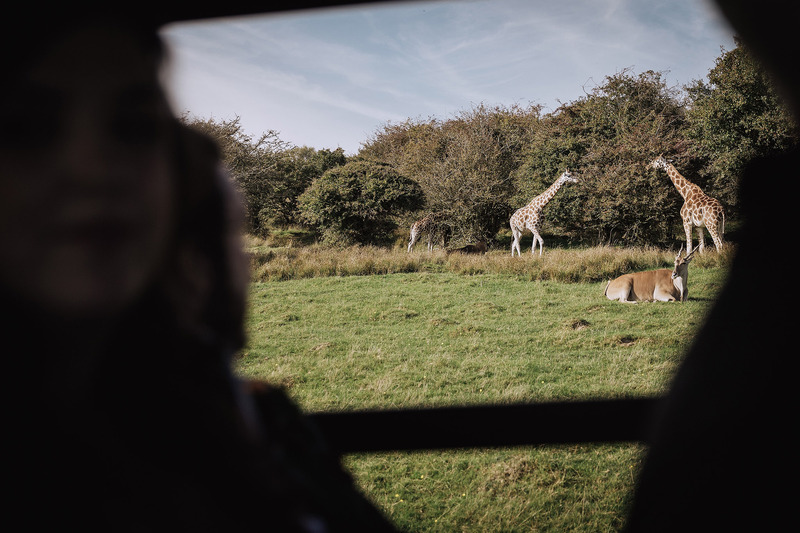 The team at Port Lympne have the same drive, and some great suggestions for alternatives if you want to swap anything out. The team are on hand constantly with support, advice and to gush over weddings, they truly became part of our family. Every time we met with the team, they filled out a planner with details that had changed or been added and emailed this over to confirm it was correct, giving us peace of mind that everything we had talked about had been listened to and noted. Did they do anything in particular to make your day extra special? We arrived the day before the wedding to set some bits up, the team took all the boxes from me and told me to go and relax, they would set everything up for me. Naturally, I had to do some of it, but they wanted our ceremony decor to be a surprise for me. They also bent over backwards to accommodate Matt’s nan, who needed wheelchair access and a different meal, which was provided without a question. I don’t know how many times the team listened to me say 'plain cheese sandwich, no mayo, no tomato, no cucumber...'. Nothing was too much trouble, including bringing dinner from Babydoll's across the park for me and the bridesmaids the night before, as well as breakfast on the morning of the wedding. Our wedding was in October, so we had a lot of pumpkins and autumn colours. My husband was once heard describing it as 'a Halloween barn dance' - though it was neither in a barn, nor on Halloween... It’s quite difficult to describe it as it was quite untraditional, but in terms of colours autumnal fits the bill. What was the weather like on the big day? It was glorious sunshine all day, which was a surprise in October. We had planned for the weather to be horrible, but we got very lucky as the day after was grey and rainy. Of course my favourite part was getting married to Matt, but honestly the whole day was amazing. It was great to see all our friends and family having a blast all day, and into the night. I am so pleased we got to celebrate with everyone, and everyone seemed to have a lovely time. Do you have any tips/advice for someone planning their wedding at Port Lympne? Don't worry! The team at Port Lympne are great, they will take care of everything. We had a nightmare supplier (not organised by Port Lympne I might add!) who turned up hours late and set up in the wrong room. The team at Port Lympne were telling me everything was fine even when it wasn’t, and I didn’t know there had been any drama until the day after! The only person that knew was my maid of honour and our wedding coordinator, who sorted out the whole sorry mess for me. If you are considering something but aren’t sure, talk about it with the team, they will give you honest feedback, that will make your day flow and feel better. They plan weddings every day, they know what will work and what won’t! 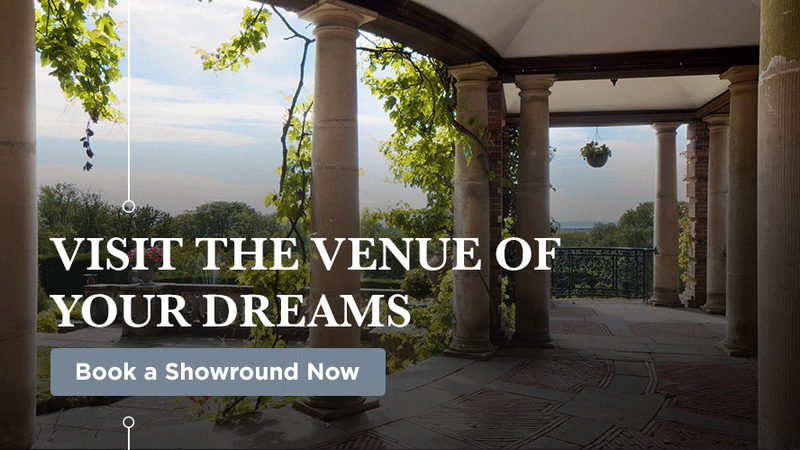 Ready to come and see for yourself how your own dream wedding will come to life? We’re here to show you exactly how we’ll make it happen and answer any questions you may have.